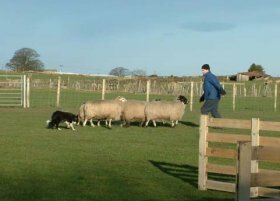 Your Sheepdog Experience will be spent in the company of our fully trained, fun loving sheepdogs learning not just the skills of working a trained dog but how they are trained, their history, their future and their adaptability into companion homes. You can ask as many questions as you want as your event will be spent with instructors who are fully qualified trainers and behaviourists. Expand your knowledge of this traditional skill and learn a little about yourself along the way. 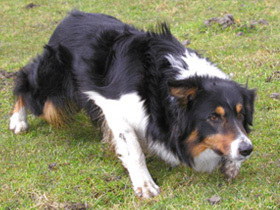 You will be amazed about how much the collie, at both work and rest, can teach you about yourself and others in a fun and non confrontational way. Golcar farm is not a show farm, it is a working farm, our dogs are all working dogs and although they will make you work they will also make you laugh. 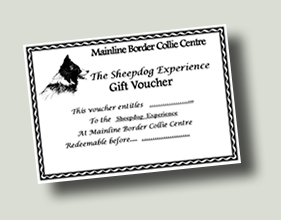 Book your Sheepdog Experience at Mainline relax, learn and have fun with a bunch of cheeky happy collies. We have all weather facilities so if the weather is cold and wet we can keep you warm and dry while you are learning the basics. But we still expect you to be a ‘proper’ shepherd and work in the rain when you are given a 'task’ to complete! 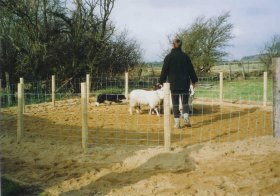 The Sheepdog Experience is available all year but not on a daily basis so please book early to avoid disappointment. Group days include a break for lunch, which you can either bring your own or enjoy a trip to the local pub, there is plenty of opportunity to have a chat and a laugh and meet new friends. A group averages between 5 and 8 participants. Why not join a group of like minded people or book an event for your own group? Hen/stag parties and other special occasions catered for. Duration: approx 2 hours.Price £80.00 per person. 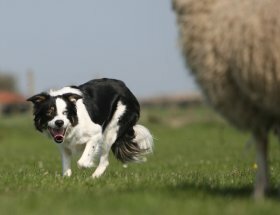 During the mid winter months only the Select Sheepdog Experience is available subject to weather and ground conditions. Family and junior Sheepdog Experience events are available on request. Turning your visit to the Dales into a mini break? Go to our Visiting Yorkshire page to find out more about places of interest and history. Gift vouchers are available for all events. The perfect gift for a birthday, Christmas or for any other special occasion. Call us 01274 564163 and purchase a voucher over the telephone by paying by debit or credit card. Send a cheque to Mainline Border Collie Centre (Golcar Farm, Spring Lane, Bingley, West Yorkshire, BD16 3AU) remember to state whether you would like the voucher for a event or just for cash value for the recipient to spend as they like. Please make cheque payable to "MBCC"
If you let us know who the gift voucher is for we can sent you (via post) a personalise certificate. Website hosting by Click IT Services. Whilst every care has been taken to check the accuracy of the information on this site, no responsibility can be accepted for errors or omissions. The content of this website are copyright; reproduction in whole or part thereof is forbidden. All rights reserved © 2014.